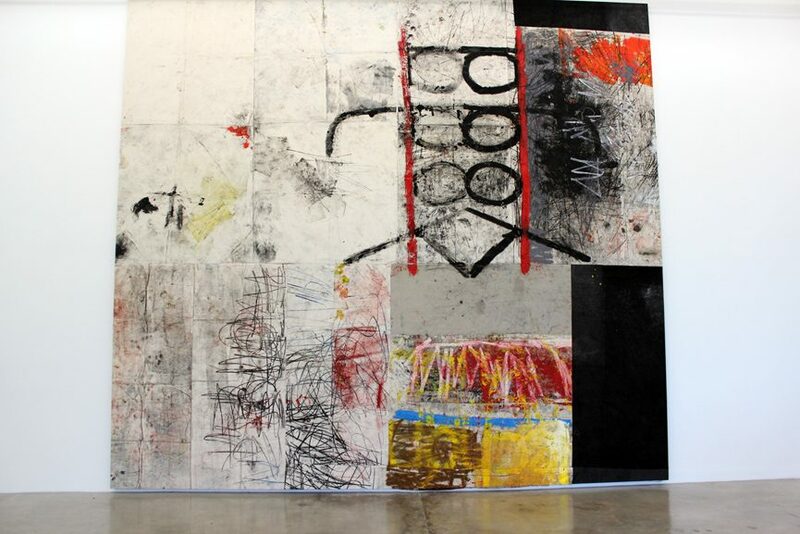 Columbian born artist Oscar Murillo is an example that hard work and dedication eventually pays off. Even though it’s been a long way to the top, it was definitely worth the effort. Before applying to art school, Murillo had to work long hours as a cleaner in a London office building so that he could afford making art. Now, Murillo is more than just an artist, he’s considered to be a creative genius with a talent worthy of comparing even to the great Basquiat. His field of expertise are not only paintings (which, by the way, fetch as much as $400,000 at auctions), but also installation, sculpture and performance. At just 28 years of age, Murillo is one of the leading young artists on the contemporary art scene and a career that is just at the beginning. 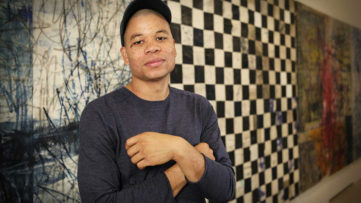 Only in the last year, Oscar Murillo has been starring in numerous exhibitions and group show, with one currently on view, a group show entitled Emergence of Four at Zurich Galerie Eva Presenhuber. An artist that had come to a true meaning of post-internet world and used it in his advantage is West Virginia-born Travess Smalley. 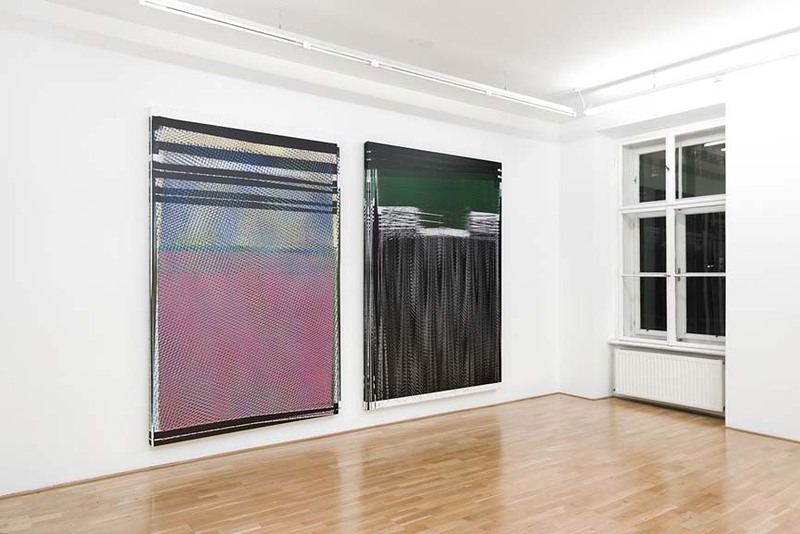 Often referred to as a leading figure of the current wave of contemporary art concerned with the image politics of a post-internet world, Smalley has made a name for himself thanks to visually stunning works combined of blending the computer graphics with physical collage-making. Unlike his fellow peer Murillo that sticks more to the traditional approach of making art, Smalley’s paintings are on the verge of being mistaken with a psychedelic computer screen saver. After solo shows in New York, Toronto and Milan, Smalley is ready to conquer the world. 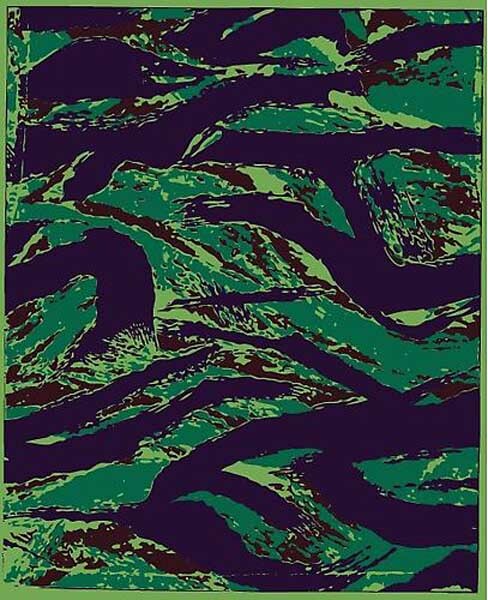 Another auction wonder is the 25 year old Los Angeles born artist Lucien Smith. Just like Murillo, Smith’s works have rocked the art world with their works being sold at staggering prices, instantly becoming collectors’ favorites. 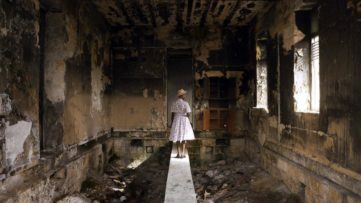 In 2011, Smith’s work from a Cooper Union graduate show was resold in November two years later for $389,000, and in February 2014, Smith’s piece Two Sides of the Same Coin sold £224,500 at a Sotheby’s, London auction. The Starbucks of artistic gentrification, as Smith’s has been called, made auction history thanks to his canvases with layered oil paint and detritus like newspaper and aluminum pie plates. Although some people perceived him as being one hit wonder, Smith quietly continued to confirm his well-deserved role of one of the best emerging artists of his generation. The only lady on our list is the 26 year old Hong Kong-born, NY based illustrator Victo Ngai. Focusing her talent on illustration only, Ngai managed to exploit the craft in a best possible way. 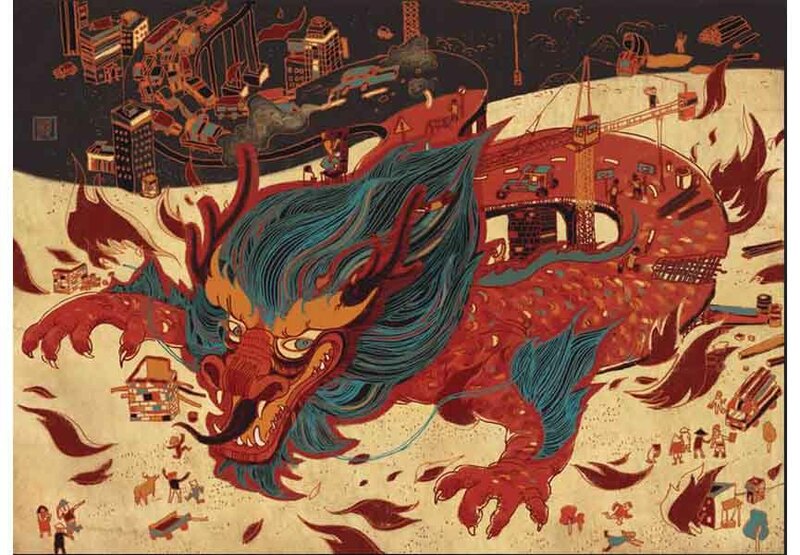 Her intricate, colorful editorial work didn’t come unnoticed by the public, especially when Ngai began working for a number of high profile clients The New Yorker, The New York Times, Wired, McDonald’s, Scientific American… A winner of many prizes, including two gold medals from the Society of Illustrators, 3×3 and Best use of Illustration, Ngai is definitely a one to watch in 2015. 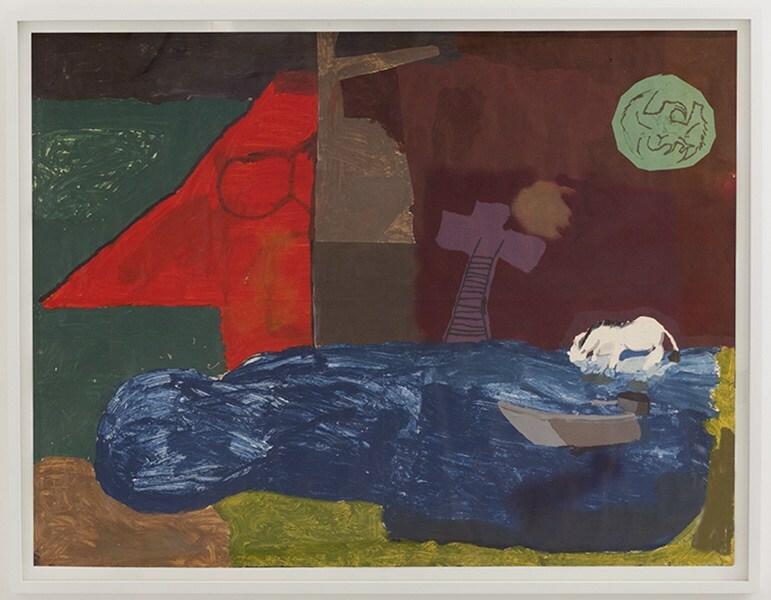 In August 2014, we announced the opening of Some Narrow Sleeping, a show by a young artist by the name of Torey Thornton. Before that, Thornton had a one-man show in New York and group shows in New York and London, all leading to him being named as one of Forbes’ best young artists of the year behind us. The 24 year old Macon, Georgia born artist makes figurative, colorful, crude still lifes with acrylic, oil, glued collage and graphite. His works even caught the attention of many other artists who wanted a Thornton piece among their art collection. 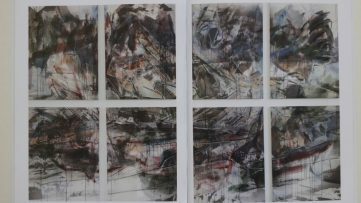 Naming Robert Rauschenberg as a huge influence growing up, it is clear why Thornton compares panting with experimenting, using all kinds of materials. These young people are making art history. Stay informed about their upcoming works by signing up for My Widewalls today and for FREE! Oscar Murillo Destroys his Passport during Flight as a Protest!